Home » Is Blogging Still Important in 2019? » orlando seo » Is Blogging Still Important in 2019? It’s 2019. So much of the digital world has changed and shifted, along with the ways that we market and expand our businesses. After all, technology grows exponentially and often, companies feel like they are forever playing catch-up. This is why it’s so important to keep up on trends in digital marketing as well as to make sure that what you’re doing and investing time, effort, and money in is not obsolete. One type of content that is an important part of search marketing for many companies is blogging, as it can continue to produce relevant and quality content that can continue to help you in your SEO rankings. 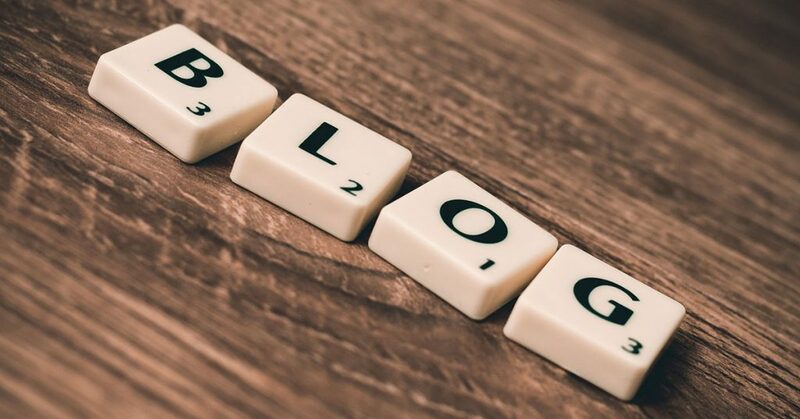 In 2019 you may be wondering if blogging is still a type of relevant content that can help you climb Google’s ranking and also promote the relevance of your website to attract the customers and clientele that you want. The short answer is that yes, blogging is still important as a type of content for your company in terms of a variety of factors. You can call it situational irony that this blog post that you’re reading right at this moment is an example of why your company should continue to be blogging. Read on to learn more about how blogging is able to help your company gain the type of search engine ranking that attracts potential clientele and customers to your products and services so that you can continue to expand your brand and grow your company. To put it simply, providing solid, relevant information is exactly the right way for a company (especially small business owners) to garner favor with search engines such as Google. If you’re reading this blog post, then you know that ranking on Google and other search engines is fantastic for your bottom line, and how you do with search engines also has the potential to make or break your business. Due to the fact that Google dominates about 3/4 of the global market share, we’ll focus mostly on Google. MyCity Social is a top Orlando SEO expert who provides digital marketing services to help your brand grow. Call MyCity Social today for blog marketing services to grow your brand and business! So how exactly are blogs able to assist your business in terms of SEO rankings? Stop and think about this piece of information for a minute- 47% of buyers browse through 3 to 5 pieces of content prior to actually engaging with a sales representative,and companies with blogs tend to receive about 67% more leads than the companies who don’t have an updated and optimized blog. Of course, you can’t forget about the SEO implications of this- search engines are a key component to how people end up discovering your blog posts. It can be that businesses at times are simply just not clear regarding how this all works, from content production to lead generation. Orlando SEO expert MyCity Social is here to help break everything down for you so that you are able to use the information the way that you need to and that you are able to grow your business and brand through the internet. In today’s internet-driven world, it’s essential for you to stay up to date regarding your search engine needs, in order to stay competitive and garner the maximum amount of hits from potential customers and clients. First of all, let’s think about everything from tech giant Google’s perspective (which is where we’re all trying to rank in order to generate the maximum amount of traffic to our sites). Take a moment to consider exactly what makes Google such a huge play in the lives of so many people today, young and old. Google is able to provide information to those who are searching for it, in real time, without much hassle. But Google isn’t the source of all of this information. Google simply functions as the vessel for getting people to the information that they are looking for. The information on Google is coming from many different sources, and your goal as a company is to make sure that you company is the one who is providing the knowledge that somebody who is typing in a search that is relevant to your company ends up landing on. After all, it’s important for you to remember that Google is not a company who is employing thousands of people to write exert-level articles to address all the search queries that it receives- that’s not possible, and Google is only a vessel. This means that since Google is not the one who is providing all of this information, Google is going to be constantly on the hunt for articles and providers of articles who are the actual experts in their field and are continuously sharing information via their websites. The good news for owners of businesses (especially small businesses) is that pretty much anybody is able to become an expert in Google’s eyes, with the right moves. This is where SEO comes in, as noted by top SEO company MyCity Social. If you are a business who blogs, and the information that is provided by your business on your business website is relevant and solid to a possible searcher, then Google as a search engine will reward your business through moving this information to a higher ranking in search results- something that businesses are always looking for. The power of Google in determining the amount of traffic you end up getting on your site is immense. Around three quarters of clicks are clicks that are directed to websites that are listed on the first page of Google search results. This means that the companies who are located on the front page of Google search results hold a significant advantage over their competitors in terms of the amount of relevant traffic from potential clients and customers that they receive for their products and services. Sites that rank number one for a search query are able to end up receiving about 33% of these clicks, while sites that are able to make it to the top three spots are able to garner almost 60% of the clicks that searchers end up clicking. Internet Live Stats has reported that there are about 5.5 billion Google searches every single day, making more than “63,000 search queries per second as you’re reading this.” This means that there are plenty of opportunities to be the subject matter expert in your industry and provide the knowledge people and search engines are always on the lookout for. In terms of a chain of events, there’s a fairly simple sequence that should play out through your efforts at blogging (which should come about in the following order): More blog posts, more chances to rank, more traffic to your site, more people interacting with your brand, more people filling out forms or calling, and ultimately more sales. Well, now you may be thinking: What if we tried blogging, and it didn’t work the way that we wanted it to? Now a failed attempt at creating blog content is a fairly common phenomenon, and we at top SEO provider MyCity Social are somewhat familiar with clients who have repeated the same story. Some companies who have foregone professional SEO services and tried to take things into their own hands (particularly small businesses) may be thinking: “We blogger for a little while. Our search engine rankings and revenue didn’t change at all.” There are certain reasons for everything, and when it comes to something as quantifiable as search engine results, it’s not too difficult to push to find out why and identify common reasons why things don’t end up working when companies to to blog and push their content. We are now going to talk about the reasons that your blogging efforts may not have been as effective as they should have been, and why you should not give up on blogging as a content medium that holds the ability to push your content to the top of the search engine charts. First of all, it’s possible that your blogs were simply not optimized for search. Yes, you wrote and posted your blogs, but then there are the other components to think of. Were the technical components that allow the content to actually be able to rank on Google put in place? If the blogs never ended up ranking on Google or other search engines, it means that very few if any people ended up clicking through it and thus no additional lead opportunity was created. This means that at the end of the day, zero new sales were the result of your blog posting efforts. Then, you should think about if your blog topics were strategic to what you were trying to achieve. It can be difficult to achieve higher search engine rankings with your blog posting efforts if you are not able to be strategic with your blog topics. After all, it all plays into SEO. You need to make sure that the topics that you are putting into your blog posts are ones that are strategic. How are you able to know what topics are getting searched the most by potential clients and customers and are the most relevant to those who may be able to utilize your products and services and to your company if you’re not incorporating keyword research into your search marketing efforts? Think about it this way. If you’re writing and posting blogs without keyword research and all of the above information we just mentioned, then it’s kind of like the digital marketing equivalent of putting on a blindfold and shooting a machine gun hoping that at least one or two bullets will end up actually hitting the target. In order to be the most efficient with your blog posting and content and make the most impact on search engine rankings, you need to be clear and targeted with your shots. The marketers who are able to get an efficient return on content marketing are snipers. There are many things that you should think about with your blog content. Perhaps there was a misunderstanding of the customer journey with your blog content that you wrote and posted. Certain companies don’t recognize the fact that some people are reading their blog posts way before they ever converted to their cause and are likely to actually utilize the products and service the company offers. Without proper, targeted analysis of exactly who is going to be reading your content and who will be clicking through your content, a lot of blogs end up being a waste of time and not actually increasing the amount of potential clients and customers that could be coming to your site and business. Lastly, one common mistake that many companies make when writing and promoting blog content is in the promotion portion- the blogs were never promoted properly. Even if some companies do create wonderful blog content that is based on keyword research and is properly optimized, they may not be able to promote the blogs to the audience that they are trying to reach. Writing and publishing a blog is only half the battle- without clearly considering the different avenues you need to utilize to connect users to your content, your blog will only be able to reach a fraction of the audience that it has the potential to. MyCity Social is an Orlando SEO expert providing blog marketing services to grow your business. Contact MyCity Social today to expand your brand! March 18, 2019in orlando seoby MyCity SocialComments Off on Is Blogging Still Important in 2019?